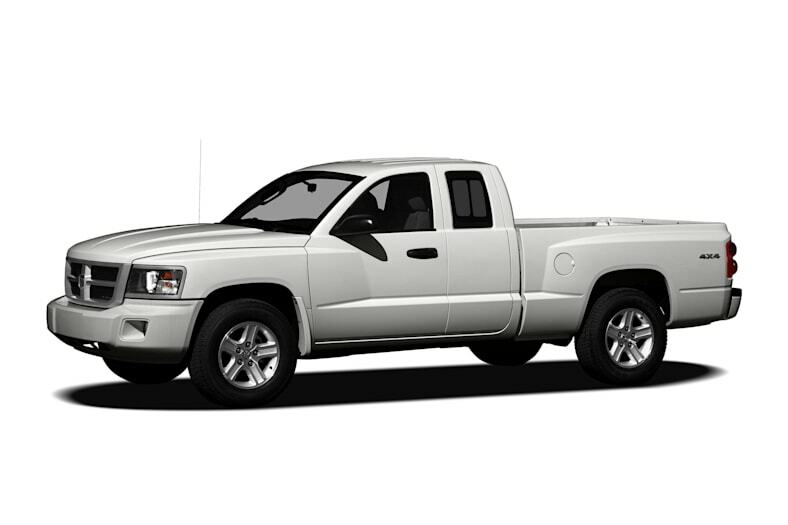 The Dodge Dakota is a mid-size pickup that provides nearly full-size truck power and capability. The Dakota is available with the choice of 3.7-liter V6 or 4.7-liter V8 engines, four- or five-speed automatic transmissions, two body styles (extended cab or crew cab), two- or four-wheel drive, and four trim levels. The 3.7-liter V6 produces 210 horsepower, while the E85-compatible 4.7-liter V8 makes 302 horsepower. Front and side-curtain airbags and four-wheel anti-lock brakes are standard equipment. Available sound system features include satellite radio, Alpine speaker system and an infotainment system with navigation and 30-gigabyte hard drive. A remote start system and Uconnect wireless connectivity are also available. The 2011 Dakota is carried over from 2010. Side-curtain airbags and four-wheel anti-lock brakes are now standard on all trims.